With its design process we proudly removed all the unnecessary physic material to leave only light. MILI™ can be perfectly embedded in the retail furniture, such as display shelves, to be basically invisible to the observer. 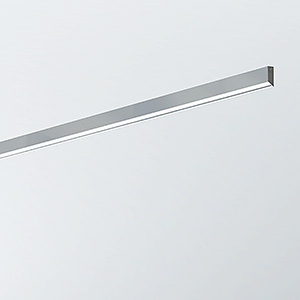 With its miniaturized dimensions and perfect light distribution, MILI™ revolutionizes shelf illumination. MILI is held in place with magnets, even in its version for the LIFELINE™ tracklight. In this case, all fixtures can be easily repositioned in the system when required. Available in 4W/ft and 6W/ft. High precision thin walled aluminium extrusion. Magnetic insert allows a quick and easy installation. 10°, 25° and 35° tilted light source. Z = 8” and 10” (custom length above 10” available in 1” increment, up to 60”).